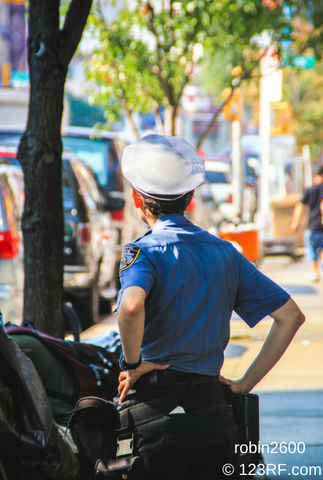 If you are a candidate going through the law enforcement application process, it is understandable to have questions arise. It is up to the agency to be transparent with those applicants who are applying for law enforcement positions. When there is a lack of information given there begins a snowball effect of confusion. This confusion typically happens during the hiring process which causes stress for the candidates which eventually drop interest in the position. Not all candidates know what goes into a background investigation which may cause a capable candidate to become disqualified. Being knowledgeable about the background investigation can help a candidate strengthen their chances of having an agency hire them. The process for hiring law enforcement officers typically takes six months to complete before applicants enter the police academy. One of the requirements that candidates undergo for the hiring process is a background investigation. A thorough background investigation makes sure that there are no personal or professional issues that can hinder one’s job performance. Investigating a candidate's background gives those hiring a better understanding of their experience, abilities, and reputation. It is essential to take a preemptive measure for not only an organization's safety but for the community that a potential officer would serve. There are applicants whose history could make it inappropriate for specific positions. Applicants should have a background investigation completed before the investigation to be ready to answer discrepancies that may arise. It is wise to have a background investigation ran on one’s self prior to having an agency conduct one. As it is better to be aware of anything that may cause eyebrows to raise before the agency’s formal investigation. In the age of technology, we expect everything to run quickly and efficiently. The more cooperation a candidate offers, the easier the experience will be. Submitting all necessary documents to complete the background investigation by the deadline minimizes the chances of any delays or disqualifications. Preparation is key to maximizing chances of being chosen by an agency. Understanding what the steps in the hiring process are is beneficial to a candidate's application in the long haul. The law enforcement hiring process can be lengthy and tiresome yet; the background investigation doesn't have to be. The investigation of applicants is capable of being the smoothest step with a partner like KENTECH. Candidate’s that cooperate and turn in documents by the deadline will find that the background investigation is simple. Background investigation completed by KENTECH are known for being transparent with law enforcement candidates for more impactful results.